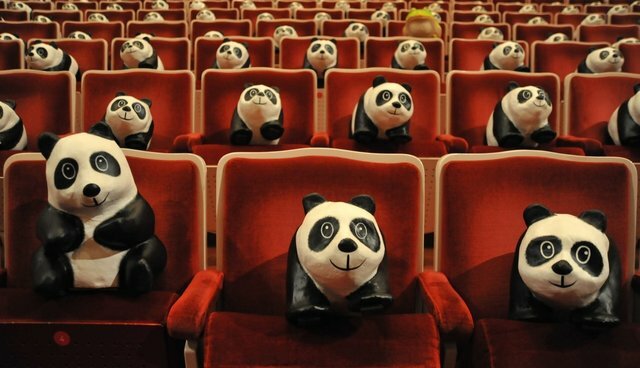 In 2008, the World Wildlife Fund launched its Pandas on Tour exhibition, a collaboration with French artist Paulo Grangeon meant to highlight the plight of the endangered species, which has since traveled the world. 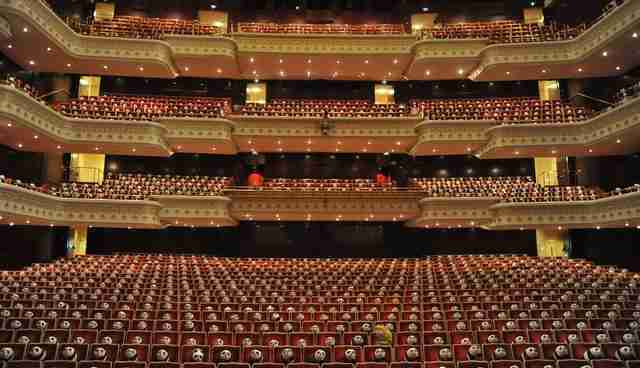 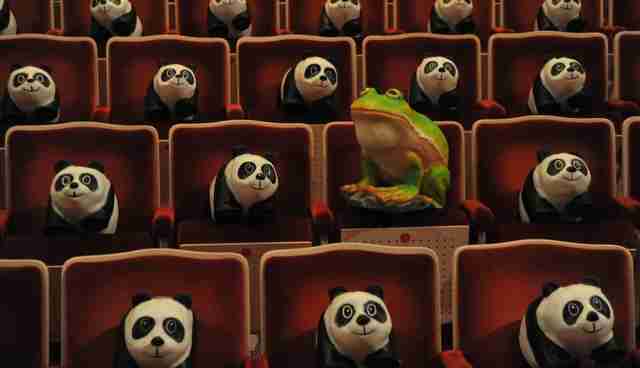 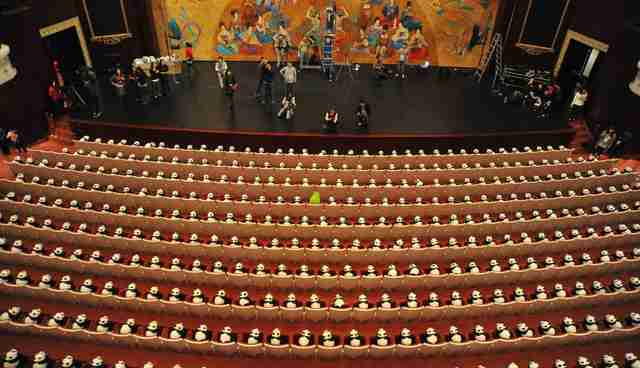 Now, the exhibition has made its way to Taipei, where 1,600 papier-mâché pandas (and one green tree frog) line the rows of the Taiwan National Theater, each representing one of the few real-life pandas still in existence around the world. 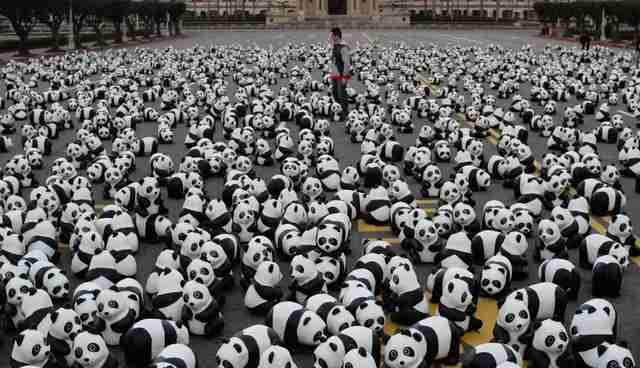 Before setting up in the National Theater, the pandas were put on display outside Taipei's Presidential Palace. 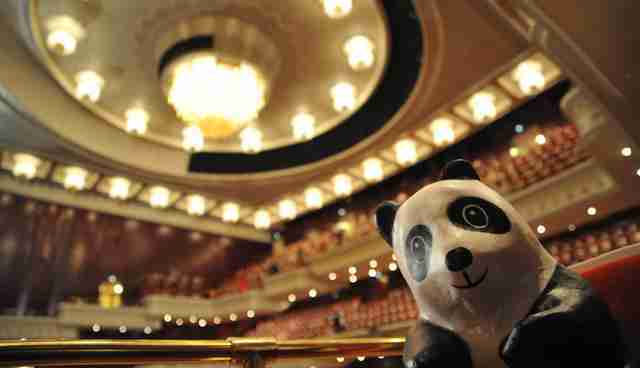 Grangeon also created an additional 200 Formosan black bears for the Taipei opening, to support wildlife protection legislation for native Taiwanese species.